It’s the nuttiest ride you’ve ever seen! Woody definitely proved he’s got a few screws loose when he designed Woody Woodpecker’s Nuthouse Coaster, a kid-sized roller coaster that’s still fun for all ages! Whoa! 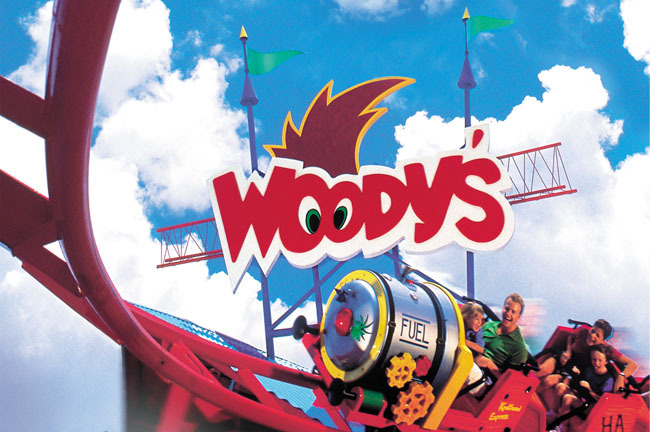 What happens when you let a wacky woodpecker design and build his very own roller coaster? You get a nuthouse on wheels! 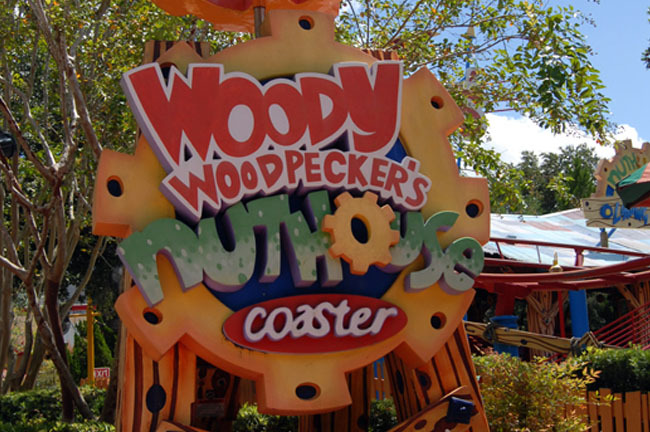 Woody Woodpecker’s Nuthouse Coaster takes you on a ride through Woody’s nut factory, filled with the kind of puns and corny jokes that only a real nut like Woody Woodpecker would think up. Woody Woodpecker’s Nuthouse Coaster has all the hills and thrills a tyke can take. Perfect for toddler "first-timers" (and those who like their ups and downs in small doses), the Nuthouse Coaster delights without daredevil drops. Gentle swoops, rolling turns and silly circles bring every rider back with a smile. Often opens an hour after the park opens, except during peak busy times of the year. Lines are usually not very long, but if they are, try again in the late afternoon. This ride is fairly tame and is a great training coaster for young ones to help them prepare for bigger ones as they get older. It does not go upside-down and nearly half of the ride time is just spent climbing the first (and only) lift hill. 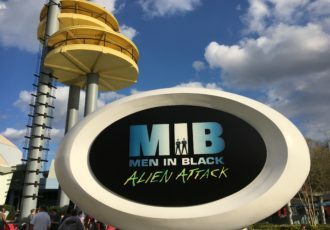 This was actually the first roller coaster to be added to Universal Orlando!